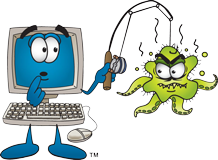 • Do you have a virus or malware? • Are you having problems with your internet? • Has your hard drive failed? • Want a custom built desktop? • New or Redesigned Website? • Printer not working properly? • Want to monitor your home or office while away? • Having issues with your current surveillance system? • Add Features To Your Current Site? • Need help with your new desktop? • Do you have a cracked laptop screen? • Is your computer running slow? • Mobile device not working properly? Whatever your issues, knowledge, or electronic needs are Taylor Computer Solutions will work with you with whatever you need assistance with. Count on us to be there when you need it the most. If Taylor Computer Solutions is required to take your computer or device, it will be back in your hands as quickly as possible! We pride ourselves on having an excellent turnaround time. Taylor Computer Solutions understands your needs and how frustrating it can be when you are unable to use your computer or device. Or use our new online ticket support.